Want to know about the anime before you watch it? Need the incentive to watch an anime? Then check out some reviews! 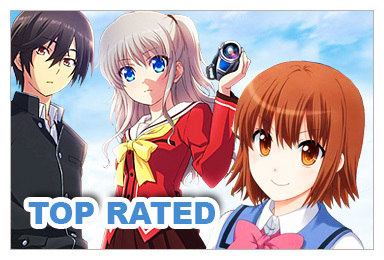 Animecrave offers reviews in some of the rather popular animes that you might want to watch! Here you can find helpful resources to all of your questions and problems regarding Anime Crave and Anime Crave's services. Please click the above links to access a Help Section or look below for descriptions of the Help Sections. Get to know Animecrave a little bit better. Learn about our history and our roots and even the team that made the animecrave dream possible. Need to get in touch with us? Please feel free to contact us at any time, no matter the reason. Be sure to check out the Help Page if you have any questions or problems, usually most answers can be found there. AnimeCrave.Com was created as a non profit organization / website. As anime fans that enjoy anime just like all out visitors and members we gain no profit from any of the site. All Ads, subscriptions and other monetary sources serve only as a source to maintain the private servers as well the site active. So we ask all those who are able to donate to AC and help us keep the site running strong! AnimeCrave.com does not claim to be the creator of any anime series. We had absolutely no part in any creation of any series, and are just dedicated fans of all anime series who have taken their time to create this website. Although we did not create the anime series, we did create this website to be as original as possible. We ask that you respect the originality of our work, and not take anything without expressed written permission by the owners. 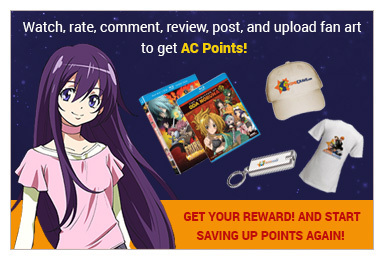 By using AnimeCrave.com we expect that you agree to respect our efforts in creating a 100% original website. Therefore, you agree that you will not use any of our HTML or other coding, layout, content, or design elements without permission from the owners of this website. Subscriptions to Live and donations. If you wish to cancel subscriptions please e-mail us requesting cancellation. We do not offer any refunds. You must request cancellation 10 days prior to your renewal date. You also have the option to cancel through your Live area under your control panel. If your are subscribed via paypal please cancel your subscription through their website. If a chargeback is initiated against us all all information gathered through your sessions can be used to fight the chargeback. You will also be responsible for all fees involved in the dispute. When making a donation you are in no way obligated to do so, once you have sent in a donation it cannot be refunded back to you. AnimeCrave.com features an extensive image gallery with thousands of images collected by our staff from the all anime series. We ask that you please respect our efforts and not use whole galleries on your web page. If you do use our gallery for your website we ask that you provide a link back to AnimeCrave.com, out of common courtesy. It is not uncommon for AnimeCrave.com to receive submissions in the form of art or other original creations from its users. Once these items are submitted they become the property of AnimeCrave.com, and we are free to use them in whatever way we see fit. Credit will always be given to the individual for their creation. For further elaboration related to issues of liability, with respect to documents available from our server(s), neither AnimeCrave.com nor its creator(s), its web host(s), sponsor(s) and all associated parties makes any warranty, express or implied, including the warranties of merchantability and fitness for a particular purpose, or assumes any legal liability or responsibility for the accuracy, completeness, or usefulness of any information, apparatus, product, or process disclosed, or represents that its use would not infringe privately owned rights. 1. You are welcome to View media as it is made available. 2. You must have in your possession the original material. 3. If you do not have the original in your possession, you must not view the file under any circumstances. 4. AnimeCrave.com and all associated are not responsible for your actions. 5. You are not allowed to directly link to any file, graphic, or media applicant. 6. We are not liable for any or all damages done to your system or computer. 7. AnimeCrave.com is not liable for actions taken towards you. For all related matters concerning aspects upon the server which specific media is made available, information from this server resides on a computer system funded by the companies and/or parties associated with it. The use of this system may be, and is, monitored for computer security purposes. Any unauthorized access (hacking) to this system is prohibited and is subject to criminal and civil penalties under Federal Laws including but not limited to Public Laws 83-703 and 99-474. 1. Rating everything without watching any of it. 2. Requesting every anime others requested or submitting lots of fake requests. 3. Any form of non genuine site usage. Anime Crave works hard to provide all its members with the best quality content possible. Any members found advertising other websites that contains similar content to our website will be warned or banned without notice. Using this website to advertise your own website or other websites is not allowed. If you are found harassing other members or spamming the forums, chat, comments areas or any other areas of the website your account will be disabled and possibly get banned. Giving out your username and password is not allowed. If your account is found to be used by multiple people your account will be terminated. AnimeCrave.com does not claim to be the creator the anime content listed on this website. We had absolutely no part in any creation of our anime content, and are just dedicated fans of anime who have taken their time to create this website. Although we did not create the anime series we offer, we did create this website to be as original as possible. We ask that you respect the originality of our work, and not take anything without expressed written permission by the owners. AnimeCrave.com and all of it's original content and images are the sole property of the webmasters of this site. Furthermore, AnimeCrave.com is protected by the Digital Millennium Copyright Act(PDF). Unauthorized use of any original pieces originating from AnimeCrave.com are subject to criminal and civil penalties. If it is found that you have taken original work from AnimeCrave.com, you will be asked to remove it peacefully within 24 hours, or risk possible legal action against you or your website. AnimeCrave.com is ran on fully monitored servers for security reasons. All users who visit AnimeCrave.com are logged. Any unauthorized attempts at accessing (hacking) the AnimeCrave.com system(s) are strictly prohibited. Action to the fullest extent of the law under criminal and civil law under Federal Laws including but not limited to Public Laws 83-703 and 99-474 will be taken against those who attempt to hack or attack the AnimeCrave.com server. By not agreeing to these terms, you can not threaten AnimeCrave.com or any company hosting and storing any files related with AnimeCrave.com with legal action. You also may not prosecute any person(s) affiliated with AnimeCrave.com including, but not limited to, family, friends or individuals who maintain or visit this website. In no event will AnimeCrave.com, it's host(s), or any other company or individual including third party websites linking to AnimeCrave.com, be liable to any party for any direct, indirect, special or other consequential damages for any use of this website, or on any other hyper linked website affiliated with the AnimeCrave.com website. Including, without limitation, any lost profits, loss of program or data on your information handling system or otherwise, even if AnimeCrave.com is expressly advised of the possibility of such damages that may occur. Donations to AnimeCrave.com are made on your own will, and will under no circumstance be refunded after the first 24 hours upon receiving them. Donations are to help the website support its servers and essentially keep it and all of its services online. All Music Videos and other original work located on AnimeCrave.com are the property of AnimeCrave.com and their owner(s). All material submitted via E-mail or other methods becomes the immediate property of AnimeCrave.com, and may be used in any form by the owners of this website. In most cases, credit will be given where it is due for all submissions. No original work may be taken from AnimeCrave.com and used on another website without the written permission from the owner. AnimeCrave.com's paid Services (such as Anime Crave Live!) 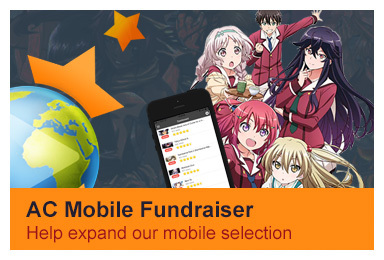 as well as Donations are not used for personal use by the Animecrave.com owners, these funds are strictly used for services that keep this website available (such as Server's, programs, equipment). In no case will these funds be used for personal profit. Ani me Crave reserves the right, at our sole discretion, to change, modify, add to, or otherwise alter any of our Disclaimers, Terms and Conditions, Acceptable Use Policies, and Privacy Policies at any time. Such changes and/or modifications shall become effective immediately upon their posting, so please review our Disclaimers, Terms and Conditions, Acceptable Use Policies, and Privacy Policies periodically. The following Web page outlines AnimeCrave.com's collection and use of personal information from it's users. AnimeCrave.com values the privacy of our members and users, we will never share any personal information of anybody who logs on to AnimeCrave.com with anyone. This includes your e-mail address, name, and location. Upon logging on to AnimeCrave.com such things as your IP address and host name are logged for statistical and security reasons. A cookie is a very small text file placed on your system upon logging on to AnimeCrave.com (and most other websites). This file serves as your identification card and is uniquely yours, and can only be read by the server that gave it to you. Cookies tell us that you have returned to a specific web page on AnimeCrave.com and help us track your preferences and transactional habits. The basic function of cookies is to help our server remember who you are. AnimeCrave.com does not knowingly collect personal data from children under the age of 13. We make reasonable efforts to prevent someone who is underage from joining as a member of AnimeCrave.com, and will not collect information from them. If AnimeCrave.com learns that a child under the age of 13 has become a member, we will close that child's account and delete any information collected about the child. Not withstanding the foregoing, AnimeCrave.com may choose to retain some personal information such as the child's e-mail address as a means to prevent the child from re-registering at our website. The Children's Online Privacy Protection Act (COPPA / PDF) went into effect in April 2000, and as a result websites all over the world wide web had to change their standards to not collect any information from a child. AnimeCrave.com may store and disclose personal information allowed or required by applicable law or when deemed advisable by us. This means that we may make disclosures that are necessary to conform to legal and regulatory requirements or processes and to protect the rights, safety, and property of AnimeCrave.com, users of the AnimeCrave.com website, and the public. At AnimeCrave.com we make reasonable efforts to protect personal information such as passwords and use technology such as encryption, access control procedures, fire walls, and physical security. We urge you to use a unique password with both letters and numbers to protect your account on AnimeCrave.com and it's affiliated websites. If others, including family, friends or other household members access and use the message board through your login credentials, you are responsible for the actions of that individual. Only in extreme cases will your account be fully terminated. AnimeCrave.com reserves the right to change this, and any other policy located on our website at anytime without notifying our users. If you have any comments, questions, or concerns regarding this policy, or any other policy you may send them to us at [email protected]. By continuing to access AnimeCrave.com and any of it's affiliated websites and files, you are expressly and impliedly agreeing to all of the terms as stated above on this document. You also hereby affirm that you are in compliance with all Federal, State and Local laws in your place of residence concerning the contents of AnimeCrave.com, and are also in agreance with our Legal Disclaimer and Terms of Service.